Warren Buffett discloses the mobile-home company he controls made record profits last year while foreclosing on more than 8,000 customers. Warren Buffett used his annual letter to Berkshire Hathaway shareholders Saturday to expand his defense of the mobile-home business Clayton Homes, while disclosing that the company foreclosed on more than 8,000 customers last year. Over the past year, reporters from The Seattle Times, The Center for Public Integrity and BuzzFeed News have detailed how Clayton’s predatory practices devastated many mobile-home buyers around the country. Clayton customers repeatedly have said they were guided by Clayton sales agents to finance their purchase with the company’s internal lender, Vanderbilt Mortgage, which offered particularly expensive loans with interest rates that often exceeded 10 percent. Clayton Homes builds nearly half the new manufactured homes sold in this country every year, and sells them through its more than 300 retail lots and through independent dealers. Clayton finances more mobile-home loans than any other lender by a factor of more than seven. Buffett devoted two pages of his 30-page letter to discussing Clayton, saying that its retail employees consistently inform customers about all kinds of outside financing. He did not address reporting — backed by documents, numerous interviews and an audio recording — that showed how Clayton urged customers to use Vanderbilt financing and how managers pressured retail sales lots to get high rates of customers taking on Vanderbilt loans. For what appears to be the first time, Buffett specified the extent of Clayton’s failed loans, saying the company foreclosed on 8,444 homes last year. By comparison, Clayton originated 25,282 loans in 2014, according to federal data. The company has separately acquired loans originated by other companies, so it’s not clear what percentage of failed loans were Clayton loans. The company did not immediately respond to requests for clarification Saturday. Last year, after the first in a series of stories about Clayton, Buffett said that the company’s default rate was 3 percent, leaving the impression that 97 percent of customers pay off their loans successfully. The company later said that the 3 percent number referred to the number of failed loans in a single year compared to the total number of loans remaining on the books at that time, a method that undercounts the total of all defaulted loans in its portfolio. Buffett contended in his Saturday letter that the company is unusual compared to others in the lending industry because it retains the loans on its books instead of repackaging the loans for investors to buy. “When we make mistakes in granting credit, we therefore pay a price — a hefty price that dwarfs any profit we realized upon the original sale of the home,” Buffett wrote. But Clayton can quickly repossess, refurbish and resell homes after loans go bad, giving the company a new opportunity to profit on another sale and many years of costly financing. 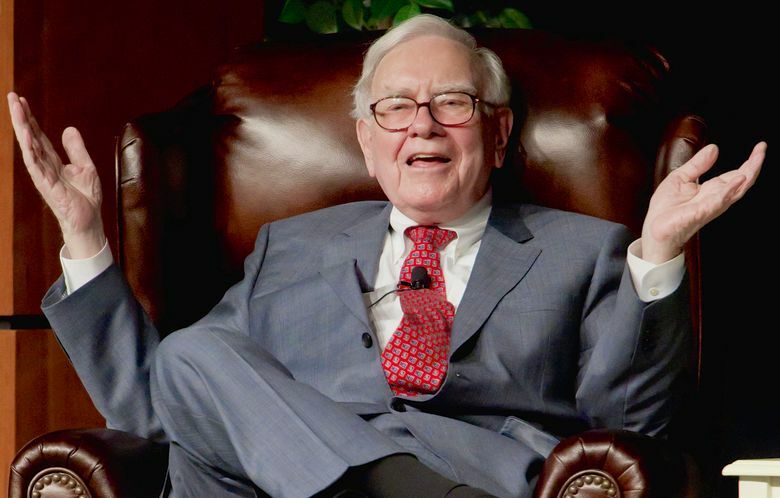 Despite the more than 8,000 foreclosures last year, Buffett reported that Clayton earned more than $700 million on $3.58 billion of revenue in 2015, making it the company’s most profitable year since Berkshire acquired Clayton more than a decade ago. In his letter, Buffett did not address other issues raised in the reporting about Clayton, including that Vanderbilt Mortgage charged minority borrowers substantially higher rates, on average, than their white counterparts. Federal data shows that Vanderbilt typically charges black people who make over $75,000 a year slightly more than it charges white people who make only $35,000. Several members of Congress recently called for a federal investigation of the Clayton Homes and its treatment of minorities. Buffett’s letter did not address this matter.